The start of a new year, means new beginnings in many ways and your home must not be too far right? So why not do up your home this New Year in the colour of the year Green? Wondering how? Read on. Pantone, the famous colour company from New Jersey has declared a zesty green as the colour of the year for 2017. Tony Bopaiah, Head- Brand & Product, Homestudio.com says, “the colour green is considered the most restful colour that can be used in various environments. Shades of green can be used in various ways in any corner of the room to create a sense of tranquillity and calm. Brighter shades can be used in a space to uplift a mood, while more muted tones can create a mood that is more subdued.” Green as a colour in interiors gives a soothing, natural and fresh look to your home. “Light green pastel paints can provide ample lighting and reduce your light bills, greenery themed wallpapers can also be used to add to the effect. Green shade laminates can particularly be used in kitchen shutters, which will complement with the food you prepare and consume. If one wants to have a mirror finish, duco paints can be used to create unmatched quality compared to laminate/veneer. If the room has bright colours, the tone can be settled with green coloured curtains,” says Rohan Varadkar, Founder, Housedot – Furniture, Interiors, Home Automation. If you thought it was hard to incorporate green in your home, think again. Simply playing around with vivid furnishings to fashion home interiors that replicates a natural atmosphere is all what you need. Instead of painting the walls green, the furniture and accessories such as artwork, cushions, sofa upholstery, can have a hint of various shades to add a different dimension to the overall colour scheme of the room. “This season revamp your home décor by adding fluffy cushions and tube pillows on couch or rug seating, in the creamy luscious shades of lime, aqua, teal and avocado green to make a palatable range of linen drenched in a fresh mood. Add crisp white Lenin with beautiful green stripes and light floral designs adding a twist of welcoming shades. These tantalising, trendy shades of aqua green and lime gives a youthful and serene look to the living rooms. The variations of green, also known for kindling vigour and hopes, are enrapturing and can be adeptly adorned on classy home interior products like curtains, bed sheets sets, bed cover sets, duvet covers, comforters and micro bead pillows to kitchenware like coffee mugs and coasters to other bathroom accessories,” says Sonam Gupta, Design Head of Tangerine. The enticing and calming view of nature can be captured indoors to create the rustic, natural green forest scenes. Abhijit Roy, MD & CEO, Berger Paints advises, “the easiest way is to use pot plants, herbs and spices, botanic-themed wallpaper and paint – bringing the outside, inside. Various shades of the green colour can be used as paint for walls and accents.” A large piece of furniture coloured in a deep green shade could anchor your living space, so instead add the colour on only the inside of the piece. “Similarly, the interior and doors of a cupboard and the space behind shelves could be painted in the shade of the accent. Green glass is another subtle way to introduce green to your home. The translucency of glass gives a flavour of the colour without the intensity. Vertical gardens can add both beauty and utility in the kitchen space. Plants like curry, chilli, mint and even bonsai tomatoes would be ideal for this arrangement. However, be careful to ensure that the space receives plenty of sunlight for the plants to thrive,” says Anaisha Cooper, Director, Spenta Corporation. So what are you waiting for? Time to turn over a green leaf! 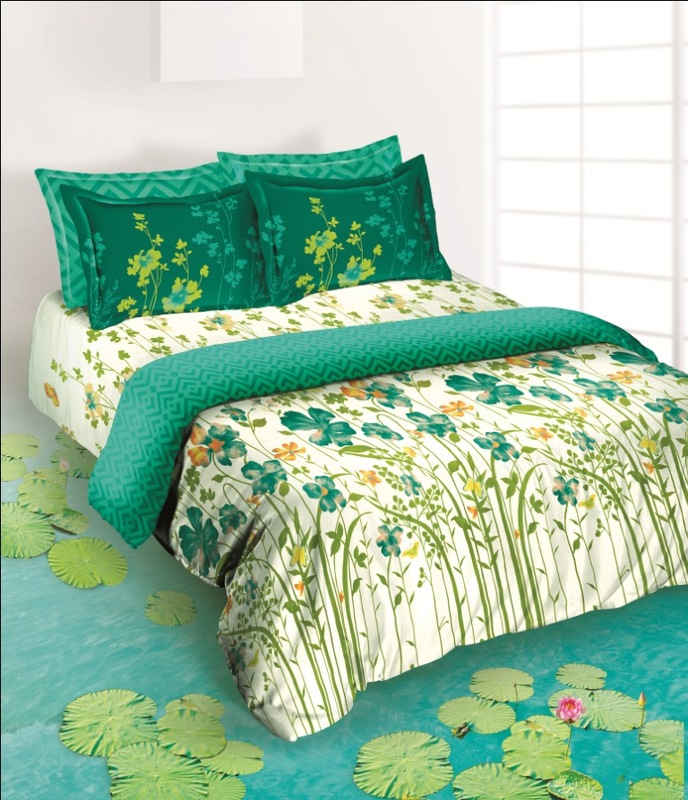 For bedrooms, the soothing green shades like Dainty touch, Cucumber Green, Pesta green, etc. are the best as they are good for the eyes. For Kitchen, Yellowy Green shades are the best as they are zesty and go well with food. 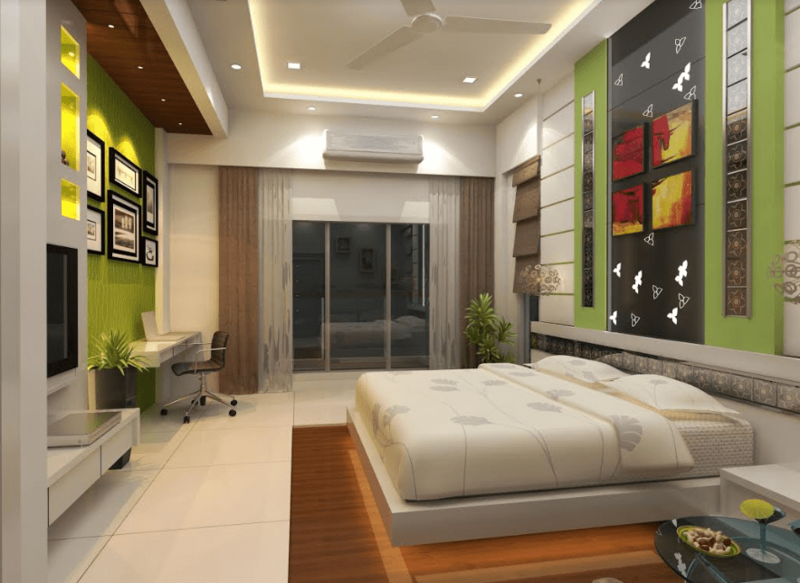 For Hall, one wall can have a bright green colour along with white or off white shades on the other walls. For rooms which do not have plenty of natural lights should not have dark shades of green. Dark shades of green should ideally be avoided because it will be difficult to match the upholstery, curtain and furniture with the dark shade. Also the dark shades in general makes the space look smaller. This story appeared in Deccan herald’s Homes & Interiors datesd 31st March 2017 here.